Bacteria (the singular is a bacterium) are single cell organisms that can live in different media. Some bacteria can survive in an acidic environment, such as the bacteria of the human gut and some others can survive in a saline medium such as the bacteria that live at the bottom of the ocean. Their sizes can vary; however, most bacteria are around 0.2μm in diameter and 2-8μm in length. Bacteria are classified under the prokaryotes because they lack membrane-bound organelles. 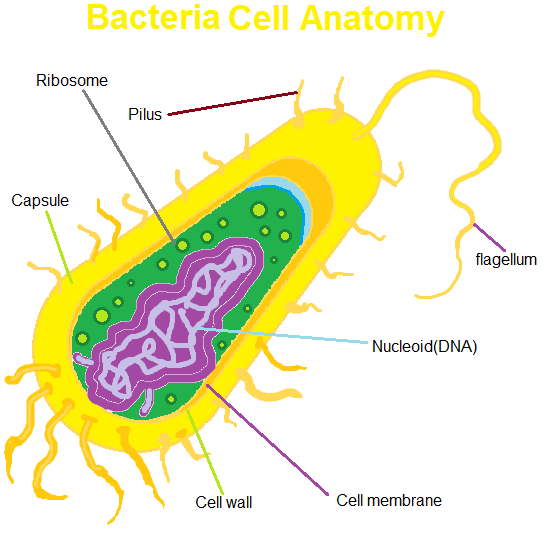 The structure of the bacterium is very simple as compared to the eukaryotic cells. A typical bacterium is shown and discussed below. Bacteria are protected by rigid cell walls that form envelopes and surround the cells. The cell walls of bacteria are made of peptidoglycan, which is a polysaccharide chain. In gram-positive bacteria, the cell walls are thick, whereas, in gram-negative bacteria, they are thin. The cell wall of gram-negative bacteria is also surrounded by an extra thin layer membrane, composed of lipopolysaccharide and lipoproteins. Capsules are mainly present in pathogenic bacteria. The main function of a capsule is to protect the bacterium from the immune system of the host (the organism in which the bacteria can grow and live). Capsules are gel-like structures which may or may not have distinct boundaries. Flagella are responsible for the motility of the bacteria. They are thin structures of around 20μm, but long (3 to 12 μm), wavy filamentous appendages. A bacterium can have one flagellum or a cluster of flagella. These are folded invaginations that are present in the plasma membrane. These invaginations are important for the cellular respiration of the cell. The ribosomes are small particles found in the cytoplasm. They are the sites where the translation of mRNA takes place, and also they are responsible for the synthesis of proteins. These particles are not enclosed by a membrane and their main function is to act as storage units for the bacteria (Some are used to store glycogen for the bacteria that can be used later on to generate energy to the cell). 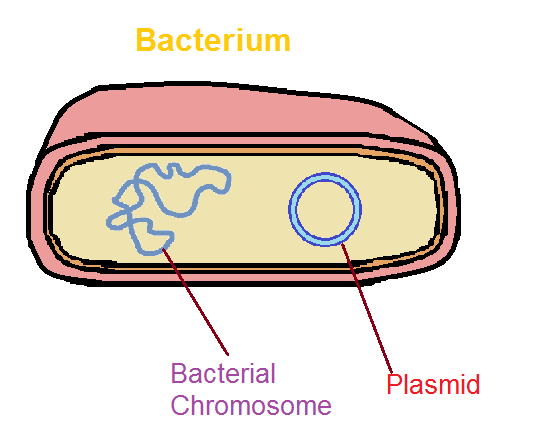 Apart from DNA and RNA, bacteria also contain plasmids. 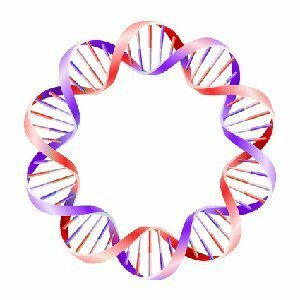 Plasmids are the circular DNA fragments present outside the nucleus. In the bacterial nucleus, densely aggregated DNA molecules are present, whereas in the cytoplasm RNA molecules are aggregated. Bacteria can be classified based on different criteria. 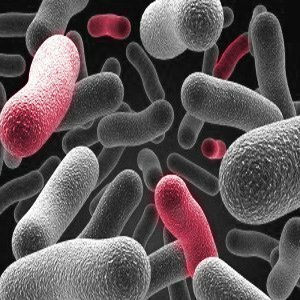 These bacteria thrive in normal conditions. These bacteria give a positive result to the gram staining test indicating the presence of a thick cell wall. These bacteria do not give a result for gram staining because of their thin peptidoglycan layer. These bacteria have cylindrical or rod shaped structures. These bacteria have the shape of a comma. Bacteria reproduce through a process called binary fission. 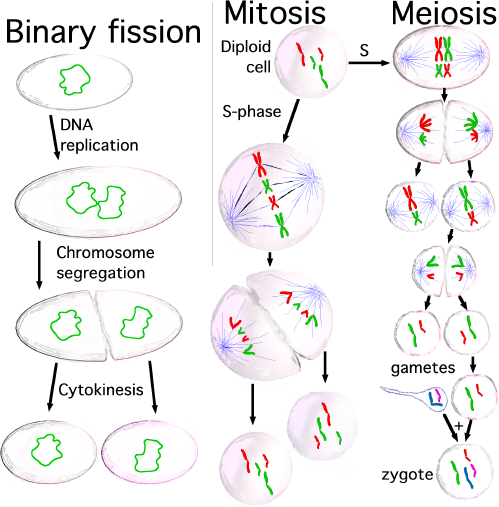 In binary fission, a single cell is divided into two daughter cells. The cytoplasmic and nuclear contents of these cells are also divided, thus multiplying by 2n at each division. MLA (Modern Language Association) "Types and Structure of Bacteria." ScienceAid, scienceaid.net/Bacteria Accessed 25 Apr 2019. Chicago / Turabian ScienceAid.net. 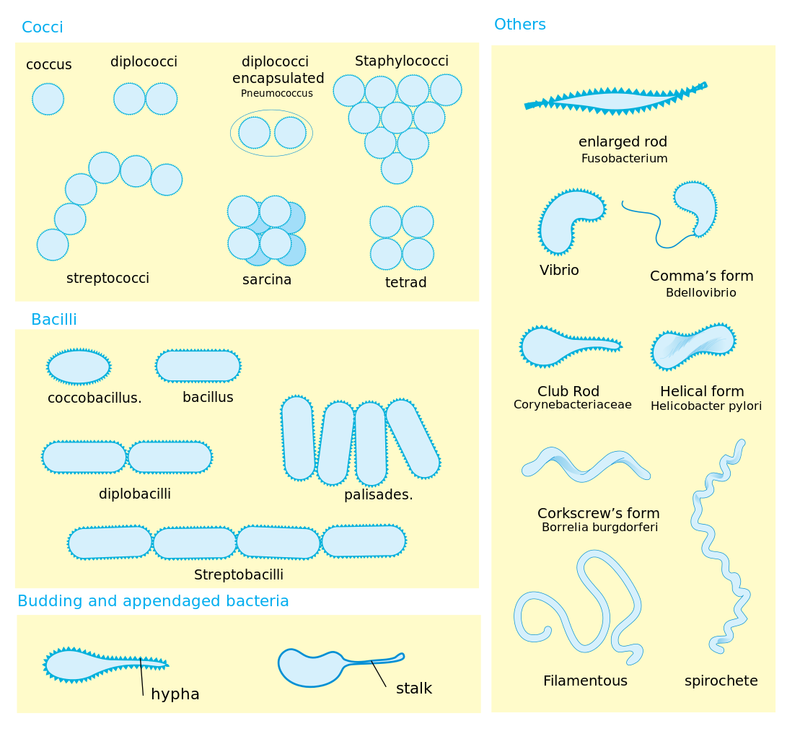 "Types and Structure of Bacteria." Accessed Apr 25, 2019. https://scienceaid.net/Bacteria. Thanks to all authors for creating a page that has been read 30,490 times.